The impulsive buying behaviour is a common trend in today’s market environment. Impulsive buying behaviour is an urge or temptation to purchase a product or service with no consideration of the consequence of the purchase. Controlling impulsive buying behaviour is essential to improving an individual's psychological well-being. On the other hand, stimulating impulse buying is one of the key strategies employed by retailers to ensure that they increase their sales revenue. The five key stimulators of impulsive buying behaviour includes impulse-buying tendency, vicarious ownership, window displays, income levels, credit card usage. The impulsive buying behaviour is common in many markets today, and the Chinese retail industry is not an exception. This research aimed at investigating how window displays, income level and credit card offers influence the level of impulse buying in the Chinese retail industry. The researcher extensively reviewed the existing literature and was able to formulate three hypotheses that were evaluated and examined to draw conclusions. The first hypothesis stated that window displays have a significant influence in increasing the level of impulse buying in the Chinese retail industry. The seconded hypothesis stated that Income level increases the level of impulse buying in the Chinese retail industry. According to the third Hypothesis, high level of income increases the level of impulse buying in the Chinese retail industry. The research adopted the use of positivism philosophy, quantitative research approach, survey research strategy, descriptive research design and the primary method of data collection. The respondents’ responses were descriptively analysed to draw conclusions from the 490’s successfully returned questionnaires. According to the research findings, window displays, income level and credit card usage increases the level of impulsive buying behaviour in the Chinese retail industry. The researcher provides key recommendation on how retailers can maximise on window displays, income level and credit card usage to increase their sales revenue. Futures studies are also guided to maximise on the weaknesses of this research. For instance, the futures studies can use larger samples and investigate the impact of other variables such as customer loyalty and product quality on the level of impulse buying. According to Ahmad &Vays (2011), impulsive buying behaviour is a common trend in today’s market environment. Hadjali, Salimi&Ardestani (2012) define impulsive buying behaviour as an urge or temptation to purchase a product or service with no consideration of the consequence of the purchase. Further, as noted by Chang, Eckman& Yan (2011), controlling impulsive buying behaviour is essential to improving an individual's psychological well-being. Hostler et al. (2011) further note that impulsive buying behaviour has a close connection to unhappiness and anxiety because in some situations it can lead to remorseful reactions. As argued by Kalla& Arora (2011), understanding impulsive buying behaviour from the psychological perspective will play a critical role in helping a consumer to make smarter and more rational buying decisions. Karbasivar&Yarahmadi (2011) highlight five key motivators of impulsive buying behaviour, which are closely connected to an individual’s psychology in the Chinese retail industry. The first motivator of impulsive buying is the impulse-buying tendency, which is a personality trait possessed by some individuals. The impulse buying tendency motivates an individual to form a habit of buying anything attractive to him. As expounded by Karbasivar&Yarahmadi (2011, the impulse-buying tendency is connected to detrimental behaviours. For instance, individuals with the impulse-buying tendency are status-conscious, image-concerned and socially active. This category of persons participates in impulse buying to look better in the eyes of other buyers. Similarly, Liang (2012) argues that impulse buying tendency creates anxiety that makes it difficult to control impulse buying. People who have the habit of purchasing to improve their social status experience difficulties in managing their emotional urges to spend. Ling, Chai &Piew (2010) also note that individuals with personality traits of impulsive buying tendency experience unhappiness, so they buy impulsively to improve their moods. Individuals who are involved in impulsive purchasing in most cases fail to consider the consequences. The second motivator of impulsive buying behaviour is fun and vicarious ownership. According the research conducted by Maymand& Ahmadinejad (2011), some individuals want to experience pleasure and own the products that please them. Further, Mihić&Kursan (2010) postulate that vicarious ownership and fun are strongly related to brand and service reliability. When individuals have a strong connection with certain products or services, Mihić&Kursan (2010) argue that the perceived quality influences their buying behaviour. The three connections between the product and the impulse buyer are the physical connection, temporal connection and the social connection. Mohan, Sivakumaran & Sharma (2013) explain that a physical relationship with the product is formed when an individual is closer to it and can touch it. A physical relationship leads to a temporal relationship with the product when it is purchased. A social relationship with the products is formed when an individual can compare himself with other people using similar products. The social connection with a product tends to make some individuals think that they are better off and happy when seen making expensive purchases (Muruganantham&Bhakat, 2013). Therefore, the feelings of happiness and respect will drive an impulsive buyer to buy unbudgeted products without considering its consequences on spending. According Nazir et al. (2012), the impulsive buying behaviour is common in many markets today, and the Chinese retail industry is not an exception. This research project aimed at investigating the factors that influence the level impulsive buying behaviour in the Chinese retail industry. Despite the fact that many studies have been conducted in this area, more focus has been diverted from the factors triggering impulsive behaviour in various markets. The specific attributes that will be considered to achieve the core objectives of this study include the window displays, income levels and the availability of credit card offers. The current literature has not put more focus on the mentioned attributes. Similarly, those studies that have tried to highlight the impact of window displays, income level and credit card offers provide inconclusive or inadequate findings. To address this existing gap, the researcher chose Chinese retail industry that is one of the biggest global markets affected by impulsive purchasing behaviour. Considering the previous and the current literature, much focus has been diverted on investigating the factors triggering the impulsive buying behaviour Sharma, P., Sivakumaran & Marshall, 2010). Additionally, as noted by Tinne (2011), the existing literature tends to explain more on the impact of impulsive buying behaviour. However, thefactors that influence the level impulsive buying behaviour in retail markets have been ignored. Based on the past literature regarding impulsive buying behaviour, there are no conclusive findings on how window displays, income level and credit card offers influence the level of impulsive buying in the retail industry. To bridge the current gap, the researcher selected the Chinese retail industry to investigate how window displays, income levels and credit card offers influence the level of impulsive buying behaviour. According to Verhagen& van Dolen (2011), it is vital to investigate the factors influencing the impulsive buying behaviour to help consumers control their purchasing decisions. Regardless the fact that impulsive buying behaviour is beneficial to retailers, it has remorse consequences on consumer spending Yang, Huang & Feng, 2011). Further&Bastin (2010) note that it is critical to helping consumers develop mechanisms that can help them resist the urge or motivation of purchasing unbudgeted products. As mentioned earlier, some consumers may probably make impulse buying to please others but they do not understand the remorse effects of such buying behaviour. Paradoxically as expounded by Zhang, Winterich& Mittal (2010), the impulsive buying behaviour leads remorse and unhappiness in the long-run. This implies that the feelings of fun, pleasure and social image are short-term as opposed to guilt and sadness, which result from impulsive buying behaviour. A closer review of the previous and the existing literature, most authors have concentrated on highlighting the impacts of impulse buying and its motivators. However, these studies have not investigated how window displays, income level and credit card offers influence the level of impulsive buying behaviour in the retail industry (Lai, 2010). In the bid to address the identified gap, the researcher assessed the contribution of window displays, income level and credit card offers in the impulsive buying behaviour in the Chinese retail industry. The Chinese retail market was significant in this dissertation because it is one of the biggest global markets with higher preferences of impulsive buying. The three variables namely window displays, income level and credit card offers were distinctively selected because the previous researchers have widely ignored them. Based on Kalla& Arora (2011)'s definitions, window displays are creative and inspirational platforms created by retailers to attract the attentions of the passing customers. The income level refers to the amount of money an individual can earn monthly in the form of wages. The credit card offers have benefits such as redeemable points, which may influence the consumer to engage in impulsive purchasing. Practically, impulsive buying behaviour is detrimental to the consumer because in the long-run it brings remorse feelings, unhappiness and financial implications. However, in the short-run, impulsive buying behaviour may create false feelings of pleasure, fun and improved social status. Based on the long-term negative consequences of impulsive buying, this dissertation seeks to investigate how window displays, income level and credit card offers influences the degree of impulsive buying in the Chinese retail industry. The research findings will help in enlightening the consumers to develop strategies that can help them control their urge and motivation of buying the unbudgeted products or services. The results of this research will also be critical in controlling the long-term consequences related to impulse buying such as remorse and unhappiness. To assess the influence of window displays on impulsive buying behavior in the Chinese retail industry. To investigate how the income level influences impulsive buying behavior in the Chinese Retail Industry. To examine the influence of credit card offers on impulsive buying behavior in the Chinese retail industry. The researcher aimed at investing the factors that influence the level of impulse buying behaviour in the Chinese retail industry. The researcher structured this dissertation into five chapters. Chapter one provides an overall introduction to this research with a detailed research background, research rationale, objectives and the research structure. An extensive review of the previous literature concerning impulse buying is discussed in chapter two. The study methodology is provided in the third chapter while the research findings and analysis are presented in the fourth chapter. The last chapter makes recommendations and conclusion. As noted by Ahmad &Vays (2011), the impulsive buying behaviour is a common trend in today’s market environment. According to Abideen&Saleem (2011), various factors influence people to engage in impulse buying. The impulse buying behaviour can have both short-term and long-term consequences. Further, Amos, Holmes &Keneson (2014) argue that the uncontrolled urge to consume is influenced by the mirror neurones, which trigger emotional responses in the brain that result in impulsive buying without consideration of the aftermath consequences. Similarly, Banerjee, Saha 2012) expound that impulsive buying is unintentional, unplanned and unthoughtful purchasing, which results in remorseful feelings and unhappiness in the long-term. Based on the circumstances under which the impulsive buying occurs, it is inevitable to avoid experiencing regretful feelings after the purchase. Many studies have investigated the factors influencing impulsive buying behaviour. Similarly, many researchers have attempted to examine the impact of impulsive behaviour both in the short-term and in the long-term. The previous studies on the factors influencing the level of impulsive buying behaviour are reviewed in this chapter. The researcher structured this chapter into five key sections. The first section is the introduction, which provides an overview and the structure of this chapter. The second section discusses the impulsive buying behaviour and factors influencing impulsive buying behaviour. The theories on consumer buying behaviour are discussed in the third section. The fourth section reviews the empirical studies on factors affecting the impulsive buying behaviour including window displays, income level and credit card offers. The last section provides a comprehensive summary of the chapter. The impulsive buying behaviour is a study topic that has attracted various business researchers since 1950s (Bashar & Ahmed, 2012). According to Chang, Eckman& Yan (2011), many researchers agree that the impulsive buying behaviour is driven by emotions, hedonistic desires and massive advertisements in the retail environment. Dawson & Kim (2010) note that many companies facing stiff competition in the retail environment are applying stimuli marketing techniques to encourage impulse buying as a way of gaining a competitive edge. Further, as indicated by Dr Ahmed (2011), manipulative marketing stimuli techniques play a critical role in influencing consumer’s emotions to trigger impulse buying. The impulsive buying behaviour is categorised into four categories namely: pure impulse buying, suggestive impulse buying, reminder impulse buying and the planned impulse buying. As defined by Floh&Madlberger (2013), the pure impulse buying is a purchase behaviour that goes against the shopping anticipated patterns. The level of impulsiveness in the pure impulse buying behaviour is very high due to its connection to emotions (Floh&Madlberger, 2013). As indicated by Gajanayake, Gajanayake and Surangi (2011), when a consumer is under the influence of pure impulse buying, he develops a strong emotional connection to the product and which can only be satisfied if the purchase is made. Further, Floh&Madlberger (2013) argue that the major factor triggering the pure impulse buying behaviour in the retail market environment is the cheap product and service prices. The second category of impulse buying is the suggestive impulsive buying behaviour. The key factor triggering suggestive impulsive buying behaviour is the retail store visualisation. Under suggestive impulsive buying behaviour, the consumer develops and interest to purchase a new product when he first comes into contact with it. The only way a shopper can be satisfied after coming into contact with a new product that interests him is to purchase it. According to the research conducted by Jain, Sharma &Narwal (2012), the purchasing decision under suggestive impulsive buying behaviour is irrational, functional and unplanned. The consumer does not buy the product because he had seen it before or heard of it but buys it because it interests him for the first time. The third category of impulse buying is the reminder impulsive buying behaviour (Jain, Sharma &Narwal, 2012). Unlike the suggestive and pure impulsive buying behaviours, in this category, the customer has adequate knowledge about the product. The last category of impulse buying is the planned impulsive buying behaviour. Under the planned impulsive buying behaviour, the consumer already knows what to buy but the product choice, brand, size or price are not predetermined (Kalla& Arora, 2011). Therefore, despite planning to make a purchase, the consumer will end up impulsively purchasing unplanned sizes and brands with varying prices. The planned impulsive buying behaviour differs from the planned purchase because, in the former, the consumer makes the actual decision to purchase at the points of sale (Karbasivar&Yarahmadi, 2011). Khandai, Agrawal Gulla (2012) categorise the factors influencing impulse buying behaviour into personality traits factors and environmental stimuli. The Multidimensional Personality Questionnaire (MPQ) developed by Khurram and Seemab (2013) categorises the three-dimensional personality factors that influence impulse buying into the lack of control (impulsivity), stress reaction and absorption. Control is a personality trait that can be used to monitor the impulse activity. However, as noted by Khurram and Seemab (2013), an impulse-driven person acts spontaneously, careless and reckless. Neurones trigger the emotional activities of impulse-driven individuals only get satisfaction after acquiring something of interest (Kinley, Josiam& Lockett, 2010). In the context of the retail environment, lack of control or impulsivity is a significant personality trait that influences impulse buying (Kinley, Josiam& Lockett, 2010). The second personality trait that influences the impulsive buying behaviour is the stress reaction. Based on the research conducted by Liu &Sutanto (2012), stress reactions represent systematic personal deviations when responding to various situations linked to anxiety, guilt or distress. People suffering from stress tend to make decisions catastrophically without considering the accompanying repercussions. Further, Liu &Sutanto (2012) argue that stressful individuals are very sensitive, nervous and can make any spontaneous decision to provide some form of relief. In the context of the retail environment, people suffering from stress make impulsive purchasing decisions as a way of relief. As noted by Maymand&Ahmedinejad (2011), some prior studies on impulse buying have established that some individuals suffering from stress acknowledged that they gained relief after impulse buying. Additionally, as expounded by Mehta & Chugan (2012), the highly stress-reactive individuals get short-term gratification from impulsive buying. The last personality trait that influences impulsive buying is absorption. The highly absorptive individuals are likely to think unconventionally. The research conducted by Mehta & Chugan (2013), absorption influences people on how they respond to stimuli and environmental cues linked to purchasing and the consumption of products. Environmental factors related to stimuli that influence the impulse buying behaviour include the store environment, window displays and the visual merchandising. As argued by Mehta & Chugan (2012), the impulse buying behaviour is created by stimuli. Therefore, the store set-up can influence consumers’ response when making purchasing decisions. The store settings have also undergone tremendous changes to match consumer choices, taste, preference and purchasing patterns. The window displays as explained by Muruganantham&Bhakat (2013), have both charm and charisma to influencing consumer choices. The visual merchandising (VM) is another environmental factor that influences consumer buying behaviour (Park & Forney, 2011). VM entails the arrangement of retail products in a way that clutches consumers' attention, thus influencing the buying behaviour. However, the existing studies have not explicitly explored the impact of window displays, income level and credit card offers on the level of impulsive buying in the retail industry. The current research findings provide inconclusive and inadequate findings regarding how window displays, income level and credit offers influence the level of impulse buying. Most studies have put more emphasis on the impact of impulse buying on both the businesses and consumers. This research, however, will fill this gap by exploring conclusively how the window displays, income level and credit card offers influence the level of impulse buying in the Chinese retail industry. As noted earlier by Pentecost & Andrews (2010), the topic of impulse buying has attracted the attention of many researchers since 1950's. Various theories have been formulated in an attempt of explaining what triggers impulse buying. The five most prevalent theories of buyer behaviour include the generic theory of buyer behaviour, cultural theory of buyer behaviour, internal theory of buyer behaviour, rational actor theory and the process theory. According to the generic theory of buying behaviour, consumers are guided by the generic model of decision-making process before making a buying decision. Pereira et al. (2010) argue that based on the generic theory of buyer behaviour, before making a purchase, a consumer will conduct research on the available products and their respective prices. Further, as postulated by Podoshen & Andrzejewski (2012), under the generic theory of buyer behaviour, a consumer is initiated to make a purchase by a need of either making replacement or acquiring a new planned item. For instance, a consumer may make a decision to buy a new fridge because the older one is worn out and cannot be repaired. Before making a purchase, the consumer will conduct research on the available fridges in the market and their respective prices (Podoshen & Andrzejewski, 2012). Similarly, the consumer will investigate the product features, durability and other critical aspects related to the product to be bought. After ensuring that the product meets the anticipated expectations, the consumer will proceed to make the purchase. According to the cultural theory of buying behaviour, the factors that influence buyer behaviour include culture and societal environment, sub-cultures, social classes and the cultural trends. As noted by Sharma, Sivakumaran & Marshall (2010), each consumer belongs to a particular culture with distinct norms, values and beliefs. Further, Wells, Parboteeah&Valacich (2011) argue that a business can only understand the consumer behaviour if it first analyses the culture to which the consumer belongs. For instance, each belongs to a specific family and friends who influence his thinking, preferences and choices. Based on Wells, Parboteeah&Valacich (2011)’s arguments, the cultural attributes have a significant influence on the buying behaviour of an individual. For instance, Xiao & Nicholson (2013) argue that the social class and family status can define the consumption pattern of an individual. Based on the cultural theory of buyer behaviour, Ahmad &Vays (2011) note that a consumer may make purchases distinctively based on family preferences. Similarly, as indicated by Chang, Eckman& Yan (2011), the buying behaviour is closely linked to attitudes and beliefs based on specific cultural set-ups. An individual's lifestyle is shaped by the shared experiences and values based on sub-cultures. Sub-cultures may entail different ethnic groups, different age groups, religions and gender components that significantly influence the decision to buy. Additionally, Hadjali, Salimi&Ardestani (2012) postulate that the social hierarchy has a significant influence on the purchasing decisions. The different social classes have differing tastes, preferences, lifestyles and interests (Kalla& Arora, 2011). The social classes may be classified to lower, middle and upper classes. The consumption patterns differ from one social class to the other due to different purchasing power capabilities. Similarly, as explained by Karbasivar&Yarahmadi (2011), the upper social class may distinguish itself from the rest based on the products they buy. Additionally, the culture theory of buying suggests that when making purchasing decisions, the lower and middle classes may focus on product prices, but upper classes may only focus on product attributes (Lai, 2010). The buyer behaviour is also influenced by the social pressure resulting from the cultural trends. The cultural trends are becoming dynamic due to increased technological innovations. The desire to belong to a particular fashion trend as stimulated by the social media has greatly influenced the buyer behaviour. Individuals are either consciously or unconsciously making purchase decisions to below to a particular fashion trend. The pressure to belong to a particular fashion trend may not only affect the buying behaviour but also can trigger impulse buying. Liang (2012) points out that the social media such as Facebook and Tweeter have become social, cultural trends that are exerting pressure on the purchase decisions. However, not much research has been done to investigate the impact of window displays, income level and credit card offers on the level of impulsive buying behaviour in the retail industry. According to the internal theory of buying behaviour, personality traits and social factors such as lifestyle significantly influence the buying behaviour and impulsive buying (Mihić&Kursan, 2010). The internal theory of buyer behaviour categorises social factors influencing buyer behaviour into reference groups, family roles and lifestyle status. Muruganantham&Bhakat (2013) note that the reference groups are more often related to factors such as age, social origin, residence, workplace among other factors. The consumption pattern in a reference group is determined by the lifestyle, mindset and group's values. Further, Tinne (2011) argues that the points of comparison among the reference group include consumer habits and lifestyle standards. The pressure to match up with the rest of the group members can significantly influence buying decisions. For instance, if the group has a preference for driving high ranking vehicles, an individual within the group will prefer to match the same standard. The internal theory of buyer behaviour also identifies another group known as aspiration group (Verhagen& van Dolen, 2011). An individual might want to resemble members of a particular group and this will influence his purchasing behaviour. The desire of belonging to a particular aspiration group may not only influence consumer behaviour but can as well trigger impulse buying. Yu &Bastin (2010) explain that the roles that affect the buying behaviour within a reference group are categorised into initiator, influencer, decision maker and the buyer. The initiator is an individual who initiates or suggests the purchase of products or services. The influencer is an individual whose advice can impact on the purchase decision and in most cases, such an individual might be celeb or role model to the group. The decision makers in the context of the reference group are the consumers or buyers who make purchase decisions on the initiated products. Further, the internal theory of buying behaviour identifies the family as a key influencer of the buying decisions (Abideen&Saleem, 2011). The perception of brands and buying habits are guided by the family beliefs and lifestyle. For instance, individuals may consider purchasing similar products already possessed by the family members. The social roles and status also influences the buying behaviour of an individual. The social status and roles may be associated with the level of income earned, place of residence and the place of work. To keep up with the standards of a particular social rank, individuals may tend to purchase products fit for their status (Abideen&Saleem, 2011). Similarly, the urge of distinguishing oneself from other social classes can encourage an individual to make impulsive purchases. Therefore, based on the internal theory of buying behaviour, an individual's buying decisions can be significantly influenced by the cultural trends, societal environment, sub-cultures, family and the social status. The process theory tries to explain what individuals would do theoretically and practically if they were assumed to be rational economic actors (Banerjee &Saha, 2012). Based on the process theory, the buyer decisions can be made from both opportunistic and self-defensive perspectives reliant on the consumer's ultimate gains. For example, customers will take advantage of bulk purchases to get discounts. However, the intention of utilising the bulk purchasing can lead to impulsive buying because one will end up buying more products than budgeted due to the discount's attractiveness (Bashar & Ahmed, 2012). The opportunistic perspective of the buyer behaviour can also be motivated by the use of credit card offers. According to Dawson & Kim (2010), businesses are formulating creative strategies such as the use of credit card offers to encourage consumers to make extra purchases. When using credit cards, consumers will make as many purchases as they can and pay for the products at a future date (Floh&Madlberger, 2013). The use of credit card offers is tremendously growing due to the parallel growth of other credit card usages such as bank overdrafts and personal loans. Since the consumers are not pressured to pay for the products instantly, they end up making unthoughtful and unplanned purchases. According to Mehta & Chugan (2012), the level of impulse buying is tremendously increasing in the retail industry. As expounded by Park & Forney (2011), window displaying is among the principal stimulators of impulse buying in the retail industry. Window displays as explained by Pereira et al., (2010) entails the effective presentation of products in large shop windows to capture the attention of the passing consumers. The window displays, therefore, is the exterior visual merchandising that attracts customers to interior stores (Khandai, Agrawal &Gulla, 2012). The window displays have four key atmospheric dimensions that draw the attention of the customers, which include visual, aural, smell and tactile. In the year 2012, Mehta and Chugan did a researched to investigate the effects of visual merchandising on customer impulsive buying behaviour in India. The study utilised a sample of 184 customers who regularly visit the Indian retail stores. The study analysed the respondent's responses using SPSS software and the mean as a measure of dispersion. The study findings showed that there is a direct relationship between impulse buying with the visual merchandising. However, the study did not take a keen interest in how the window displays influence the level of impulse buying in the retail industry. The study only established that visual merchandising has a direct relation to impulse buying. Another research was conducted by Bashar & Ahmed (2012) to investigate the influence of floor merchandising and form displays on consumer's impulsive buying behaviour in the retail industry. The research used a sample of 250 Indian customers. The researchers in this study applied Pearson correlation technique to study how impulsive buying behaviour correlated with floor merchandising, forum display and window displaying. The study's findings revealed that the impulsive buying behaviour and the floor merchandising are positively correlated to window displays. However, the study did not take a keen interest in investigating the effect of the window display on the level of impulsive buying behaviour in the retail industry. Further, another research was conducted by Sharma, Sivakumaran & Marshall (2010) which used floor merchandising, forum displays and window displays as the independent variables. The study utilised a sample of 45 respondents comprising of both males and females. Similarly, the Pearson correlation techniques were used to analyse the data. The study's findings established that there is a weak correlation between impulse buying and floor merchandising. However, there was a high correlation between window display and the impulsive buying behaviour. Similarly, the study failed to focus on how the window display influences the level of impulsive buying in the retail industry. In 2011, Dr Tausef found out that the impulsive buying behaviour was different between the consumers of different genders, age-groups and education levels for the FMCG products in the retail industry. The impulsive buying behaviour was used as a dependent variable while the education level, gender and income levels were used as independent variables. The study used a sample of 160 customer respondents. The data was analysed using the factor analysis tool (SPSS 16.0). Further, Mehta & Chugan (2013) investigated the triggers of impulsive buying in the retail stores. The shopping frequency was used as an independent variable while the customer gender was used as the interdependent variable. The study used a sample of 100 customers and the data was analysed statistically using the Chi-square tool. The research findings established that the shopping frequency is not associated with gender. As evidenced by the above reviews, the current studies have not put more emphasis on how the window displays influence the level of impulsive buying. To bridge this identified gap, the researcher will assess the impact of window displays on the level of impulsive buying behaviour in the Chinese retail industry. This will as well address the first objective of this study. According to Xiao & Nicholson (2013), the income level is one of the key demographic factors influencing the impulsive buying behaviour in retail markets. Further, Xiao & Nicholson (2013) note that most of the contemporary studies in the past have concluded that the level of income is a key influencer of the consumer behaviour. When reviewing various empirical studies, Wells, Parboteeah&Valacich (2011) postulate that most of the consumer behavioural scientists have come to a consensus that the social class is a key determinant of the buying behaviour. However, as explained by Podoshen & Andrzejewski (2012), the social classes are distinguished based on the level of income. The income level explicitly depends on the economic development of a country. Various studies have been conducted to examine whether the income level has an impact on the buying behaviour. The research conducted by Podoshen & Andrzejewski (2012) established that those consumers with a higher level of income seemed more confident when purchasing compared to those with low-income levels. The study utilised a sample of 175 participants in the Chinese electronic industry. The data was collected using the closed-ended questionnaires and analysed using the descriptive statistics. The study showed a high correlation between the frequencies of purchasing with the level of income. It, therefore, implies that those individual with a higher level of income tend to buy more products compared to those with low income. However, the key focus of this research was to determine whether the frequency of purchasing correlated with the level of income. The impact of the income level of the impulsive buying behaviour in the retail market environment was ignored. Additionally, the study conducted by Park & Forney (2011) revealed that the income level was a key influencer of the buyer behaviour in the Latvian tourism industry. The study used factor analysis as a statistical tool to analyse the data that was collected from a sample of 145 tourists. The researcher in the study wanted to establish how the level of income influenced the consumer's spending behaviour. The study's findings confirmed that consumer spending had a strong relationship with the level of income. Those tourists who had higher income levels tended to buy more compared with those with lower income levels. Just like other contemporary studies on consumer's buying behaviour, the researcher failed to focus on how income levels influence the level of impulse buying. Park & Forney (2011)’s assertions were supported by Karbasivar&Yarahmadi (2011) who argue that economists predict consumer buying choices based on their level of income. Karbasivar&Yarahmadi (2011) further conducted research to study the factors affecting buyer behaviour. The income level was used as one of the key demographic factors influencing the consumer buying behaviour. The other factors that were under investigation included age and gender. The study utilised multiple linear regression analysis to analyse the data collected from 140 respondents. The research outcome established that the income level and the education level were key determinants of the buyer behaviour. However, as evidenced by the current empirical studies, there is little effort to investigate the influence of the level of income on the impulse buying in the retail industry. As noted earlier, the social class is determined by the level of income. Earlier studies indicated that the social status of an individual can trigger him to engage in impulse buying (Kalla& Arora, 2011). The desire to look better in front of others encourages people to engage in impulsive buying. The upper social classes tend to have higher levels of income compared to middle and lower classes. However, this dissertation aimed at filling the existing gap by studying the influence of income level on impulse buying in the Chinese retail industry. The study will provide critical information that will help consumers monitor their level of their impulse buying in the retail industry. As argued by Robb (2011), the credit card offers are one of the key factors influencing the impulse buying behaviour in the retail market environment. Robb (2011) defines credit card offers as a payment mode widely used in purchasing products and services on credit. The usage of credit card offers has tremendously grown in the past decade. According to Thomas, Desai &Seenivasan (2011), the growth of credit card usage in the retail industry has been influenced by the parallel growth in other consumer credit cards such as higher purchase, bank overdrafts and personal loans. Further, the increase in the usage of the credit card usage in the retail industry has been greatly influenced by the dynamic developments of the global financial system that has created confidence in their usage (Joireman, Kees&Sprott, 2010). However, Ahmed et al. (2010) asserts that despite the benefits that stimulate consumers to use credit card offers, some setbacks should be considered before making a purchase. Ahmed et al. (2010) also argues that consumers who use credit card offers tend to make extra purchases than intended. The increased trend of using credit card offers is overwhelming in the retail industry. Different scholars have conducted empirical studies to investigate whether the credit cards have a significant impact on the impulse buying. Ahmed et al. (2010)'s study aimed at investigating credit card misuse in the Malaysian retail industry. The study utilised a sample of 230 respondents whose responses were analysed using descriptive statistics. The study established three key findings regarding the credit card usage. Firstly, the study proved that consumers will use their credit cards to buy more luxury goods to satisfy their emotional desires. Secondly, the research findings indicated that people with low self-esteem tend to overuse their credit cards in purchasing luxurious products to boost their esteem and self-worth. Thirdly, the study concluded that credit card offers enticed buyers to make impulsive purchases. However, the study did not take a keen interest in how credit card offers influence the level of impulsive buying. Another study was conducted by Foscht et al. (2010) who wanted to investigate the factors that affect the misuse of the credit card offers among the working population. The factors under consideration included the budget constraints, self-esteem and impulse buying. The researcher used 250 respondents from the Austria retail industry. The research model applied by the researcher is illustrated in Figure 1. The researcher successfully collected the empirical data from 230 respondents using the questionnaire survey. The collected data was hypothetically tested and the researcher established that materialism and impulsive buying contributed to the credit card misuse. Similarly, the study established that consumers had an impulsive buying tendency of spending beyond their means. These research findings are in line with the various reviewed literature that indicated that users of credit card offers tend to overspend in different retail markets (Podoshen, & Andrzejewski, 2012). The various studies have also shown a strong relationship between credit card offers usage and the indebtedness in consumer spending. However, the previous researches show inconclusive and inadequate findings regarding the influence of the credit card offers on the level of impulse buying in the retail industry. To address the current inconsistencies, this dissertation aims at investigating how the credit card offers, income level and the window displays influence the level of impulse buying in the Chinese retail industry. The research outcome will play a vital role in helping the consumers in the Chinese retail industry to control their impulsive buying desires. The chapter explored and reviewed the previous literature concerning the impact of window displays, income level and the credit card offers on the level of impulse buying. Based on the existing literature, the impulsive buying is categorised into pure impulse purchase, suggestive impulse buying, reminder impulse buying and the planned impulse buying. The pure impulse buying is a purchase behaviour that goes against the shopping anticipated patterns. Under suggestive impulsive buying behaviour, the consumer develops an interest to purchase a new product when he first comes into contact with it. Under the impulsive reminder buying, a product reminds the consumer that he needs it because it is out of stock in his home. In the planned impulsive buying behaviour, the customer already knows what to buy but the product choice, brand, size or price are not predetermined. The various theories that explain buyer behaviour includes the internal theory of buyer behaviour, the generic theory of buyer behaviour, the process theory of buyer behaviour and the cultural theory of buyer behaviour. The reviewed literature, however, revealed that little has been done in investigating the impact of window displays, income levels and credit card offers on the level of impulsive buying on the retail industry. Therefore, this study aims to at investigating the influence of the mentioned factors in the Chinese retail industry. As postulated by Coleman & Ringrose (2013), it is essential for the researcher to select an appropriate methodology when conducting research to ensure validity and reliability of the research findings. Further, Coleman & Ringrose (2013), argue that the appropriateness of the selected methodology greatly depends on the research topic and its main objectives. This study aimed at investigating how window displays, income level and credit card offers influence the level of impulse buying in the Chinese retail market. 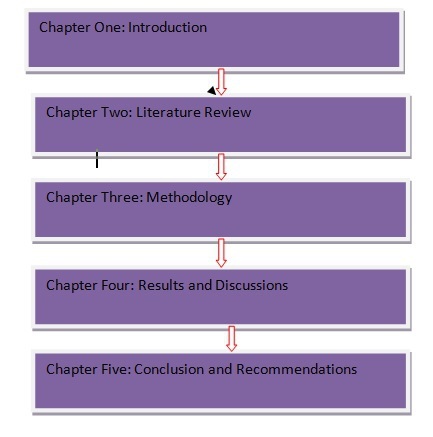 This chapter, therefore, presents a detailed methodology selected by the researcher in achieving the research objectives. The first section provides the introduction and the structure of this chapter. The formulation of the research hypotheses is discussed in the second section. The research questions are also formulated in the third section. Similarly, other sections provide detailed information concerning the selected philosophy, research approach, research strategy, research design and methods of data collection. The chapter as well presents the method of data analysis used. The last section provides a comprehensive summary of the entire chapter. Hypothesis 1: The window displays have a significant influence on increasing the level of impulse buying in the Chinese retail industry. Hypothesis 2: The Income level increases the level of impulse buying in the Chinese retail industry. Hypothesis 3: The usage of credit card offers increases the level of impulse buying in the Chinese retail industry. How does the window displays influence the level of impulse buying in the Chinese retail industry? How does the level of income influence the level of impulse buying in the Chinese retail industry? How does the usage of credit card offers influence the level of impulse buying in the Chinese retail industry? According to Bozeman & Melkers (2013), understanding the research philosophies and approaches is critical in helping the researcher to determine the methods of data collection and analysis. Further, as indicated by Creswell (2013), a research paradigm has three characteristics namely ontology, epistemology and axiology. In ontology, researchers see nature from the reality point of view taking into considerations the assumptions explaining how the world works. On the other hand, in epistemology, a researcher views what entails the acceptable knowledge based on his understanding of nature (Creswell, 2013). A researcher in this category also studies the relationship between what he already knows and the assumptions constituting the acceptable knowledge (Creswell, 2013). The research onion in Figure 2 provides a comprehensive overview on how the understanding of various philosophical approaches guides the researcher in selecting the appropriate methods of collecting data and analysis. As explained by Mertens (2014), research philosophy is made up of four pillars namely positivism, realism, interpretivism and pragmatism. Table 1 provides the differences between the four philosophical approaches. Value-bound, researcher is part of what is being researched, highly subjective. Mixed or multiples methods and can be either qualitative or quantitative. The research philosophy is chosen based on the research motives (Punch, 2013). Based on this research, the researcher aimed at investigating the influence of window displays, income level and credit card offers on the level of impulse buying in the Chinese retail industry. The observable variables that were objectively measured by the researcher included window displays, credit card offers and the level of income. The observable facts were measured using the ordinal numbers that were scored on the five Likert scale. The scores were analysed descriptively using the SPSS software in which the measure of dispersion (mean) was used. The researcher similarly used a large sample of customers from the Chinese retail industry to ensure that the results obtained were free from bias. Additionally, research findings in this study were purely tested empirically. Based on the requirements of this research, the researcher adopted the positivist philosophy. There are various reasons why the researcher preferred positivism as opposed to other philosophical approaches. Firstly, positivism philosophy helped the researcher to test the research findings empirically. Secondly, the positivism philosophy allowed the researcher to collect a large sample using online survey questionnaires to ensure the reliability of the research findings. Thirdly, by using positivism philosophy, the researcher was able to establish the causal and effect relationships between the observable facts and the impulse buying in the Chinese retail industry. Fourthly, since this research required a highly structured methodology, positivism philosophy was the best as opposed to realism, interpretivism and pragmatism that do not require a strict methodology. Similarly, unlike interpretivism, realism and pragmatism, the positivism philosophy allowed the researcher to analyse the data descriptively using the SPSS software. Interpretivism was not adopted because it emphasises on qualitative analysis. As indicated in Table 2, interpretivism is highly subjective and that might have compromised the reliability of the research findings. Table 2 also indicates that interpretivism, realism and pragmatism do not allow the use of large samples, thus making them unsuitable for this study (Myers, 2013). Therefore, based on the requirements of this study, the positivist philosophy was the most appropriate as opposed to interpretivism, realism and pragmatism. The two common research approaches are quantitative approach and qualitative approach (Bowling, 2014). Bowling (2014) indicates that it is vital for the researcher to understand the different research approaches to enable him to select the most appropriate approach. Further, Bowling (2014) explains that the research approach selected is determined by the selected philosophy. The quantitative approach is linked to positivist paradigm because it entails deductive reasoning (Gray, 2013). Under the quantitative approach, the data collected is converted into numerical figures so that it can be easily analysed using the statistical techniques to draw conclusions. Further, as argued by Saunders & Lewis (2012), in quantitative studies, researchers must formulate hypotheses to predict the possible outcome of the research findings based on the variables under investigation. The data collected in quantitative research is analysed statistically. The qualitative research approach is associated with social constructivism or interpretivism paradigms and involves inductive reasoning (Saunders & Lewis, 2012). In qualitative studies, research is not based on the formulation of hypotheses. Similarly, in qualitative research, small samples are used when collecting data. Qualitative data is not converted into a numerical form. Thus, statistical methods are not used in data analysis (Saunders & Lewis, 2012). This research aimed at investigating how window displays, income level and the credit card offers influence the level of impulse buying in the Chinese retail industry. The data collected was scored in a five-Likert scale and analysed using descriptive statistics. The research was also based on the pre-determined hypotheses. Therefore, based on the requirements of this study, the researcher adopted the quantitative research approach. The qualitative approach was unsuitable because it involves small samples and the research is not based on pre-determined hypotheses. Similarly, a qualitative approach was not fit for this study because it does not involve statistical analysis. The research strategy is another critical component that determines the success of the research study. As notified by Saunders & Lewis (2012), the research strategy selected is associated with both the research strategy and the research approach. The three common research strategies include surveys, experiments and case studies (Zikmund et al., 2012). Experimental research strategies aim at showing the link between the independent and dependent variables and are commonly applicable in the exploratory studies (Zikmund et al., 2012). The survey strategy is used when the researcher intends to use large samples when collecting data. One of the tools used to collect data in the survey strategy is the questionnaires. The case studies are widely used in traditional science studies (Punch, 2013). As indicated earlier, the researcher in this study adopted the positivism philosophy, implying that this is quantitative research. The researcher intended to use a large sample to ensure that his findings were reliable and unbiased. The data collected was to be analysed quantitatively using the descriptive statistics. Therefore, the most appropriate research strategy in this study was the survey strategy. The researcher intended to investigate the impact of window displays, income level and credit card offers in the Chinese retail industry. The researcher had to collect data from a large sample. The survey strategy enabled the researcher to reach a large audience using the online survey questionnaire. The case study strategy was not appropriate for this study because it is widely used in traditional sciences. Similarly, the experimental strategy is widely applied in exploratory studies making it inappropriate for this research. According to Saunders & Lewis (2012), a research design can either be descriptive, exploratory or casual depending on the requirements of the research study. Further, Coleman & Ringrose (2013) note that it is essential for the researcher to have a good understanding of the various research designs to enable him to achieve his research objectives. The core aim of this research was to study the influence of window displays, income level and credit card offers in the Chinese retail industry. To precisely select the research design, Bryman & Bell (2015) note that the researcher must understand the research philosophy, research approach and the strategy selected. The researcher in this study collected data using survey strategy. The data was quantitative and analysed using statistical methods. Therefore, the most appropriate research design was descriptive research design. The research design selected enabled the researcher to align his study with his objectives. Similarly, the descriptive research design is associated with positivism approach selected for this study. Therefore, the exploratory and causal research designs were not appropriate in this study because they are associated with social constructs and interpretive approaches. By using either exploratory or causal research designs, it could have been difficult for the researcher to collect data from a large sample. Similarly, it could have been difficult for the researcher to analyse data statistically. The method used in collecting data is essential in determining the success of the research findings. As argued by Saunders et al. (2011), inaccurate data collection methods can lead to misleading research findings. Data can be collected using either primary or secondary methods. The secondary data refers to the already existing research findings conducted in the past (Saunders & Lewis, 2012). The secondary data is readily available and can be retrieved from public libraries and online sources. The secondary data can be in the form of published books, journals, periodicals, newspapers and articles (Saunders & Lewis, 2012). Similarly, the secondary data can be readily available on soft copies. There are three key benefits of using the secondary data. Firstly, it is faster to use secondary data because it can be readily available, thus, reducing the amount of time taken to retrieve such information. Secondly, it is cheaper to collect secondary data since it does not involve complicated procedures. Thirdly, collecting data using secondary methods is less tedious since it does not involve field activities. However, Saunders et al. (2011) note that the secondary sources have limitations. In some situations, it is difficult to get appropriate data regarding a particular topic. Secondly, secondary data may not be adequate thus making it difficult to attain research objectives. Thirdly, the secondary data may be outdated and this may jeopardise the research findings. On the other hand, the primary data refers to first-hand information collected from the field (Myers, 2013). The primary data can either be qualitative or quantitative based on the research requirements. The primary data can be collected using methods such as interviews, questionnaires and observation (Bryman & Bell, 2015). Based on the requirements of this study, the researcher adopted the use of the online questionnaire that is a primary source of data. The online questionnaire method was selected because the researcher wanted to collect data from a large sample of customers to investigate the impact of window displays, income level and credit card offers on the level of impulse buying in the Chinese retail industry. The interviews and observation were not used because the researcher wanted to collect quantitative data that was to be converted into a numerical form to make it easier for statistical calculations. There are three key benefits the researcher obtained from the use of an online questionnaire. 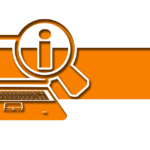 Firstly, the online questionnaires are flexible and can be adjusted when the need arises. Secondly, it is easier to reach a broad audience within the shortest time possible. Thirdly, the closed-ended questions used allows standardisation of data which made it easier to analyse the data statistically. Therefore, the online survey questionnaire was the most appropriate in this study as compared to other methods of data collection. The researcher targeted 500 customers who frequented the top five busiest shopping malls in Beijing City. The top five retail shops in Beijing where customers frequent includes the Oriental Plaza Malls, the Shin Kong Place Malls, the Beijing Yintai Center, Solana Beijing Shopping Mall and the Place Retail Center. The Oriental Plaza Malls are the largest commercial retail malls in Asia, located in the heart of Beijing. The Malls at Oriental receive many customers a day. The Shin Kong Retail Place is another biggest shopping mall in China that attracts many customers to a day due to its modern set up and displays. The Beijing Yintai Center is the third largest shopping mall in China as well with a large following of customers. Similarly, the Solana and Place shopping malls are also designed to attract customers. The researcher selected the mentioned retail centres to represent impulse buying in the retail industry in China. The customer respondents were randomly selected based on the retail mall they frequented. Therefore, the researcher categorised customers according to the five retail malls to strike a balance in investigating how window displays, income level and credit card offers influence the level of impulse buying in the Chinese retail industry. Since it was not possible to strike the required balance through hand-delivery of the designed questionnaires, the researcher adopted the online survey. Customers were asked to indicate the mall they frequently go for shopping before answering the impulse questions. Therefore, the researcher was able to categories responses regarding the mentioned malls to avoid biased responses. Data analysis is a systematic application of statistical tools or other logical techniques to analyse the collected data to draw conclusions (Bryman & Bell, 2015). The process of data analysis entails condensing, recapping and evaluating data to draw meaningful conclusions. Bryman & Bell (2015) argue that the type of analysis used depends on the research requirements, type of philosophy adopted and the methods used to collect data. Further, Punch (2013) postulates that three critical considerations must be made to ensure the credibility of the research findings after data analysis. Firstly, the researcher must have the required skills to analyse the data. Having appropriate skills on the method used will make it easier for the researcher to analyse the data. The researcher also must be able to choose appropriate methods of data collection to make it easy to analyse data. Thirdly, the researcher must follow the research acceptable norms. As noted earlier, the method used to analyse data depends on the research requirements. Based on this research, this study aimed at investigating how window displays, income level and the credit card offers influence the level of impulse buying in Chinese retail industry. The data was collected using online survey questionnaires and the responses were ranked on an ordinal scale and the scores were recorded on a five Likert-scale. Therefore, based on the requirements this study, the researcher adopted descriptive statistics. The mean was used as a measure of dispersion. As noted by Creswell (2013), descriptive statistics provides information in a more meaningful way. Additionally, the researcher of this study was well conversant with the usage of statistical software (SPSS) which ensured the reliability of the Research Findings. The chapter provided a detailed methodology adopted by the researcher in achieving the objectives of this research. The three research hypotheses were formulated from an extensive review of the current literature. The formulation of the hypotheses was critical because they provided clarity, focus and direction for the study. Similarly, the three research questions were formulated from the current literature to help the research focus on the main objectives of the research. The research philosophy adopted by the researcher was positivism since this was quantitative research. Since the study's data were to be analysed quantitatively, the research employed deductive reasoning. The research aimed at investigating how the window displays, income level and the credit card offers in the Chinese retail industry. To achieve this, the researcher adopted the survey strategy to collect data from a large sample to ensure that the research findings are reliable. Similarly, the researcher adopted the descriptive research design as opposed to exploratory and case studies since the data was to be analysed using statistical calculations. The primary data was utilised to achieve the core aims of this study. The online questionnaire was used to collect the raw data that was analysed to draw the research findings. The respondents were randomly selected from the top five retail stores in China. The respondents’ answers were analysed using descriptive statistics to draw the research findings. A noted earlier by Bryman & Bell (2015), data analysis entails systematic recapping, condensing and evaluating the collected data to draw conclusions. The collected data was analysed using descriptive statistics to draw conclusions. The research paper aimed at investigating how window displays, income level and the credit card offers influence the level of impulse buying in the Chinese retail industry. The researcher ensured all the hypotheses formulated from the extensive review of the existing literature were testable. The analysis was also aimed at uncovering any unforeseen trends so that the researcher could establish the causal and statistical relationship that could be interpreted in a more meaningful way. 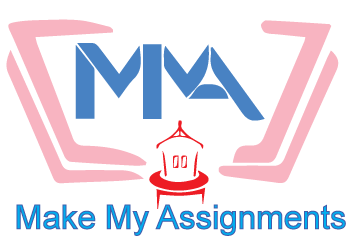 This chapter therefore, presents the data analysis and research findings. The chapter is structured into four key sections. The first section introduces this chapter and provides the structure of the chapter. The respondent's profile is discussed in detail in the second section. Issues such as age, gender, marital status, occupations, income level and the level of education are discussed in detail in the second section as well. The main results of this research are discussed in the third section. The three hypotheses formulated from the extensive review of the existing literature are tested comprehensively to draw conclusions. The last section provides a comprehensive summary of the entire chapter. The researcher focused his attention in the Chinese retail industry where he wanted to investigate the influence of window displays, income level and the credit card offers on the level of impulse buying. To achieve this, the research decided to select his sample from Beijing City where there are many retail outlets and consumers. The top five retail shops in Beijing where large numbers of people stream for shopping every day includes the Oriental Plaza Malls, the Shin Kong Place Malls, the Beijing Yintai Center, Solana Beijing Shopping Mall and the Place Retail Center. The five categories of the mentioned retail outlets in Beijing helped the researcher to categorise his sample to attain a balance purposely to avoid biases. The targeted number of respondents was 500. Because it could not have been possible for the researcher to administer questionnaires on hand-delivery, he opted to use the online survey questionnaire. Customers were asked to select their best retail stores before answering the questions related to impulse buying. The researcher also ensured that all participants were in possession of the credit card offers and had access to monthly income. This helped the researcher to strike a balance when selecting the number of respondents who visited various retail stores in Beijing China. More than 800 participants showed interest in filling the questionnaires. However, the researcher had selected only those respondents that met the research requirements. For instance, he ensured that they had credit cards, he ensured that they had access to income and made sure that they frequented the mentioned retail outlets in Beijing. After screening the 800 interested participants, the researcher eliminated 300 participants to remain with 500 which was the targeted sample. All the five hundred selected respondents met the requirements of this research. However, out of the 500 respondents, 490 successfully filled the questionnaires and returned them to the researcher after two weeks. It, therefore, implies that 98% of electronically distributed questionnaires were returned duly filled. The unreturned questionnaires only represented 2% that was insignificant and could not influence the research outcome. The respondents were asked to fill voluntarily the questionnaires implying that the responses were sincere and honest. 490 respondents successfully filled and returned the questionnaires. Out of the 490 respondents who participated, 250 were males, and 240 were females. Regarding percentages, 51% of the successful participants were males while 49% were females. The difference between the two participating genders was only 2%, which was insignificant and did not have any profound influence on the research outcome. The researcher also tried to achieve the gender balance based on the country's total population in which 51.2% are male whiles the rest are female. The balance between the genders was significant in eliminating any chances of biases in the research findings because both genders are victims of impulse buying in the Chinese Retail Industry. Tables 2 and Figure 3 provides the summary of the gender's profile who participated in this research. The participants who took part in this exercise were comprised of different age groups. The age groups, which participated were 18-35, 36-56, 57-65 and above 66. The majority of the respondents belonged to age groups 18-35 and 36-56. 250 respondents belonged to age group 18-36, 150 belonged to age group 36-56, 50 belonged to age group 57-65 and the rest belonged to those who were above age 66. Concerning percentages, 51% belonged to age group 18-36, 30.6% belonged to age group 36-56, 10.2% belonged to age group 57-65 while 8.2% had 66 years and above. As noted by the researcher, the majority of the buyers involve those who are young, energetic, financially secure and full of lifestyle. Similarly, the researcher tried to strike a balance by integrating other age groups as mentioned to ensure that the data collected was free of biases. Table 3 and Figure 4 provides a summary of the respondents' age groups. Both married and unmarried respondents participated in this study. Out of the 490 participants, 300 were married, 186 were single, and 4 were divorced. Concerning percentages, 61.2% were married, 38% were single while 0.8% were divorced. Based on the provided marital status's data, the majority of the respondents comprised of the married people. The single individuals were the second largest target population consisting of 38%. The single individuals starting life have a higher affinity to purchasing various products in the retail industry. The researcher achieved the marital status balance that helped in eliminating any chances of biases in the collected data. Table 4 and Figure 5. The respondents had different levels of education background. It was essential to categorise the respondents based on their education levels to avoid any bias in the research findings. The education level was categorised into Secondary Level, Diploma Level and the University Level. 150 participants has secondary school education level, 200 participants were diploma graduates while 140 had the university education and above. Regarding percentages, 30.6% were secondary school graduates, 40.8% were diploma graduates while 28.6% had the university education and above. Therefore, the majority of the respondents were diploma graduates followed by secondary school graduates and university graduates respectively. Similarly, striking a balance between education backgrounds of the respondents implies that the researcher aimed at avoiding biases. Table 5 and Figure 6 illustrates the respondents' education level. The respondents were either employed, self-employed, unemployed or students. Out of the 490 respondents who participated in this study, 260 were employed, 150 were self-employed, 50 were unemployed, and 40 were students. Regarding percentages, 53% were employed, 30.6% were self-employed, 10.2% were unemployed, and 8% were students. The majority of the respondents composed of the employed and the unemployed. Since the income level was one of the variables under investigation, it was essential for the researcher to take into consideration the employed, self-employed, students and the unemployed. This balance was essential in ensuring that the data was free from bias. It is also essential to note that those people who are engaged in impulse buying must have a source of income. The unemployed comprised housewives who get money from their spouses to do purchases. The students also get money from their parents and sponsors some of which is used in making purchases. Therefore, the researcher considered categorising the sample about the occupation level. Table 6 and figure 7 illustrates the respondent's occupation level. The other essential component of categorising the participants was the income level. The respondents who participated in this research had different levels of monthly income. The income levels were significant in determining the respondents' purchasing power that also helped in showing the level of impulse buying. The income levels were categorised into four key categories namely below $1000, between $1001 and $2000, $2001-$2500 and above $2,600. Out of the 490 participants, 90 earned below $1000, 90 earned $1001-$2000, 200 earned $2001-$2,500 and 110 earned above $2,600 monthly. The income level was significant in measuring the level of impulse buying in the Chinese retail industry. The majority of the respondents earned between $2001-$2,500, followed by those earning above $2,600, $1000 and below $1000 respectively. Table 7 and Figure 8 illustrates the respondents' level of income. The window displays have a significant influence on increasing the level of impulse buying in the Chinese retail industry. The usage of credit card offers increases the level of impulse buying in the Chinese retail industry. 4.4.2 The window displays have a significant influence on increasing the level of impulse buying in the Chinese retail industry. The researcher evaluated the first hypothesis by asking various questions related to window displaying and impulse buying. According to the first hypothesis, window displays can significantly influence the level of impulse buying in the Chinese retail industry. Table 8 and figure illustrates the descriptive statistical results regarding the participant’s responses. Figure 8: Descriptive Statistics on Window Displays. The first question asked respondents to rank whether they are attracted to buy the window displayed products the first time they see them. The participants' responses to this question scored a mean score of 3.8204 which was above 3.00 implying that they agreed with the question's requirement. Based on the respondent's answers to this question, customers in the Chinese retail industry are attracted to make an impulse purchase whenever they come across fascinating window displayed products. The higher score in this question as well implies that the Chinese retailers have learnt how to capture consumers' attention when they pass by. The indication that customers are attracted the first time they come into contact with a window displayed product and makes an abrupt buying decision reveals that the level of impulse buying in the Chinese retail market is very high. Secondly, the participants were asked whether they are not influenced to purchase a displayed products if they had not budgeted for them. The responses recorded a mean score of 2.3980 which is below 3.00 an indication that they either disagreed or strongly disagreed with the question's requirement. The lower score in this question reveals that in the Chinese retail industry, customers are influenced by the window displays to make unbudgeted purchases. The unbudgeted purchases result in impulse buying which later on may be a source of remorse and unhappiness. The fact that the customers in the Chinese retail industry make unbudgeted purchases whenever they come across window displayed products shows that the level of impulse buying is very high. Thirdly, the respondents were asked whether they have the capacity to resist making an impulse buying decision whenever they come into contact with a window displayed product. The question was aimed at testing whether the customers had the capability to resist emotions that the encouraged them to indulge in the impulse buying behaviour. Surprisingly, the customers' responses revealed that the ability to resist emotions to make an abrupt purchase was hard. The responses scored a mean score of 2.5388 which was below 3.00 implying that they either disagreed or strongly disagreed with the questions requirement. The low mean score revealed that the customers in the Chinese retail industry have no capability to resist the urge of making unbudgeted window displayed product when they come into contact with it. The inability to control emotions that trigger impulse buying shows that the level of impulse buying in the Chinese retail industry is very high. Fourthly, the respondents were asked whether the art of window displays makes them develop an interest to buy a displayed product. The mean scored in this question was 3.9327 showing that that the participants either agreed or strongly agreed with the requirement of the question. The art of window displaying in the Chinese retail industry is irresistible, and it has the capability of attracting the intentions of the passing consumers. This significantly contributes to influencing consumers to make abrupt buying decisions. Thus, the art of window displays in the Chinese industry results to a higher level of impulse buying. Lastly, the respondents were asked whether they are are prone to making impulse buying decisions whenever they are attracted to a product that is appealing to them. The responses scored a mean score of 3.8857 showing that the respondents agreed with the question. The fact that the customers are prone to making impulse buying when they see window displayed products shows that the level of impulse buying in the Chinese retail industry is very high. 4.4.3 The Income level increases the level of impulse buying in the Chinese retail industry. To evaluate and examine the second hypothesis, the researcher asked five questions related to the influence of the income level of the impulse buying. According to the second hypothesis, the higher the level of income, the higher the urge of making unplanned purchases that result in the higher level of impulse buying in the Chinese retail industry. The participant's responses were descriptively analysed, and the results are indicated in Table 9 and Figure 10 respectively. The first question required the respondents to rank whether when the have more money they make unbudgeted purchases. The question was aimed at measuring the desire to buy extra unbudgeted products if the consumers had more money. The responses to this question attracted a mean score of 3.8388 which was above 3.00 implying that they either agreed or strongly agreed with the question’s requirements. The urge of overspending when consumers have a lot of money indicates that the level of impulse buying in the Chinese retail industry is very high. The respondents were further asked whether they can stick to their budget regardless of the amount of income they have whenever they make purchases. The question was intended to measure whether consumers can control their urge to overspend regardless of the fact that they had enough money to make extra purchases. The responses to this particular question attracted a mean score of 2.5061 which was below 3.00 an indication that the respondents either disagreed or strongly disagreed with the question's requirement. The respondents indicated that they can hardly stick to their purchase whenever they have enough cash to buy additional products that were appealing to them. The temptation of overspending when consumers have more money implies that the level of impulse buying in the Chinese retail industry is very high. The researcher also wanted to know whether the level of income dictated the customers when making purchases. The respondents’ answers attracted a relatively high mean score of 4.0020. The respondents either agreed or strongly agreed that the level of income was a significant determinant when making decisions to buy. Therefore, the higher level of income, the more purchases a consumer makes including the unbudgeted products. Since the majority of the respondents' level of income was high, it implied that they make more purchases including the unbudgeted ones. Therefore, the higher levels of income fuels the level of impulse buying in the Chinese retail industry. The participant’s responses also indicated that as long as an individual has enough money, product prices are not significant. When asked whether they check product prices when making prices, the respondent’s answers scored a mean score of 3.9531. The higher mean score shows that most of the customers do not take much consideration of product prices when they have enough money to do the purchases. Therefore, the more money consumers have, the higher levels of impulse buying in the Chinese retail industry. Lastly, the respondents were asked whether they can ignore purchasing unbudgeted expensive products that were appealing to their eyes. The answers from the respondents scored a mean score of 2.4878 implying that either they disagreed or strongly disagreed with the question’s requirements. The lower mean score indicates that customers will purchase any unbudgeted and expensive product as long as it is appealing to them. Therefore, as long as there are adequate funds, nothing will stop customers in the Chinese retail industry from purchasing any expensive appealing products to them. All the participants’ responses indicate the higher levels of income increases the level of impulse buying in the Chinese retail industry. The researcher tested the last hypothesis by asking questions related to credit card usage. The third hypothesis stated that the use of credit cards increased the level of impulse buying in the Chinese retail industry. The respondents were asked to rank their responses on a scale of 1-5. Table 10 and Figure 11shows the respective descriptive analysis of the customer’s responses regarding the use of credit card in the Chinese retail industry. You prefer using the credit card when making the purchase as opposed to cash. Sometimes you make abrupt buying decisions whenever using a credit card. The researcher started by asking the respondents whether they are tempted to make an extra purchase whenever they are using a credit card. As noted earlier, the credit cards enable consumers to make purchases on credit and pay for them later as long as they do not exceed the set limits. The responses scored a mean score of 3.6694 which was above 3.00 implying that the customers either agreed or strongly agreed with the questions requirements. The higher mean score in this question suggests that whenever consumers are making purchases using credit cards, they are tempted to make extra purchases as long as they do not exceed the set limit. Lack of the capability to control an extra purchase when using a credit card implies that the use of credit cards increase the level of impulse buying in the Chinese retail industry. Similarly, the respondents were asked whether they will never make an extra purchase whenever using a credit card. The question attracted the mean score of 3.6694 which was above 3.00 which indicates that the respondents either agreed or strongly agreed with the question’s requirement. The researcher noted that the customers in the Chinese retail industry cannot control the temptation of making an impulse buying whenever using a credit card. Further, the researcher asked respondents whether they preferred using the credit card when making the purchase as opposed to cash. The responses to this question attracted a relatively high mean score of 3.7918 which implied that the participants either agreed or strongly agreed with the question's requirement. The higher mean score meant that in the Chinese retail industry, customers prefer making purchases using their credits cards as opposed to cash. As noted earlier, the use of credit cards in the Chinese retail industry stimulates impulse buying. Based on the fact that consumers prefer using their credit cards when making purchasing, the urge of making additional purchase increases. Therefore, in the Chinese retail industry, the use of credit cards increases the level of impulse buying. The researcher also asked respondents whether they do not always check product prices when using credit cards to make purchases in the retail outlets. The responses to this question scored a mean score of 3.5469 which was above 3.00 implying that the participants either agreed or strongly agreed with the question's requirements. Failure to regularly check product prices when making purchases using credit cards fuels the level of impulse buying in the Chinese retail industry. Lastly, the respondents were asked whether they are prone to making abrupt decisions to buy whenever they are using the credit cards to make purchases. The responses scored a mean score of 3.6714 which shows that the respondents accepted that the make abrupt purchase decisions when using credit cards. Based on the participants' responses, it is evident that the usage of credit cards in the Chinese retail industry increases the level of impulse buying. Based on the research findings, the researcher managed to achieve the aim of the study. The study aimed at investigating how window displays, income level and usage of credit cards influenced the level of impulse buying in the Chinese retail industry. The three hypotheses formulated from the extensive review of the existing literature were conclusively examined and evaluated. The researcher asked various questions regarding window displays, income level and the usage of credit cards in the Chinese retail industry. The responses were descriptively analysed. The mean score of above 3.00 implied that the respondents agreed or strongly agreed with the question’s requirements. The mean score of exactly 3.00 indicated impartiality while the mean score of below 3.00 indicated that the respondents either disagreed or strong disagreed with the question’s requirement. Based on the descriptively analysed responses, the researcher established that window displays, income level and the usage of credit card increased the level of impulse buying in the Chinese retail industry. The chapter presents the major findings of this study. The hypotheses formulated from the literature review were extensively examined and evaluated in the fourth chapter. Descriptive statistics was used to analyse the respondents' responses to draw conclusions. This chapter presents the main findings on how window displays, income level and the credit card usage influences the level of impulse buying in the Chinese retail industry. The study aimed at discussing how the mentioned variables influence the degree of impulse buying in the Chinese industry. This chapter has five critical sections in which the first section introduces the chapter and the overall structure. The conclusions are discussed in detail in the second section. The three tested hypotheses are presented in this section with their relevant findings. The third section provides recommendations. The directions for the future studies are provided in the fourth section. The limitations of this study are provided in the last section. 5.2.1 The window displays have a significant influence on increasing the level of impulse buying in the Chinese retail industry. As argued by Mehta & Chugan (2012), the level of impulse buying is tremendously increasing in the retail industry. Further, Park & Forney (2011) indicated that window displays are among the principal stimulators of impulse buying. However, the earlier studies failed to show adequately how the window displays influence the level of impulse buying in the retail industry. It is in this view that the researcher decided to investigate how the window displays influence the level of impulse buying in the Chinese retail industry. The researcher asked the various question related to window displays and established that the Chinese retailers have known how to influence the decision to by using the window displays. According to the respondents, they are attracted to purchase a window displayed product the first time they see it. This research further tried to show the extent to which the window displays in Chinese retail industry influence the level of impulse buying. The study conducted by Bashar & Ahmed (2012) only helped in showing that there is positive correlation between the impulsive buying behaviour with the floor merchandising. The researcher also established that the respondents had no capacity to resist the urge of buying impulsively when they come into contact with an appealing window displayed product. This finding helped to establish that window displays increase the level of impulsive buying in the Chinese retail industry. Similarly, the researcher's findings gave more insight on how window displays influence the level of impulse buying in the retail industry unlike the findings of Sivakumaran & Marshall (2010). According to Sivakumaran & Marshall (2010), there is weak correlation between impulsive buying behaviour and the floor merchandising. Further, the researcher established that consumers made abrupt, and unplanned buying decisions when they came into contact with attractively window displayed products. Based on the researcher's findings, the window displays greatly increases the level of impulse buying in the Chinese retail industry. 5.2.2 The Income level increases the level of impulse buying in the Chinese retail industry. The more income one earns, the more he is likely to engage in impulse buying. The researcher was able to confirm that the level of income influences the level of impulsive buying behaviour in the Chinese retail industry. The researcher asked various questions regarding how the income level influences the level of impulsive buying behaviour. When asked whether more money tempted customers to make extra purchases, their responses attracted a mean score of 3.8388 which was above the mean score of 3.00 implying that the majority either agreed or strongly agreed with the questions requirement. The earlier study carried by Xiao & Nicholson (2013) mentioned that income level is one of the key demographic factors influencing the impulsive buying behaviour in retail markets. However, Xiao & Nicholson (2013)’s study did not provide adequate details to show the extent to which the income level influences the level of impulsive buying behaviour in the retail industry. To understand the extent to which the income level influences impulse buying, the researcher asked the respondents whether they can stick to their budgets regardless of the amount of income they have whenever they make purchases. The mean scored in this question was 2.5061 which was below 3.0 implying that they either disagreed or strongly disagreed with the question’s requirement. The participants’ responses indicated as long as there was enough money, the customers could not resist from making an extra purchase. Podoshen & Andrzejewski (2012)’s study only established that those consumers with a higher level of income seemed more confident when purchasing compared to those with low-income levels. However, the research did not conclusively show the extent to which the income level influenced the level of impulse buying in the retail industry. The researcher also established that the income level dictated the level of purchases made by the consumers. Similarly, the respondents indicated that when they have adequate funds, the do not take consideration of product prices. Based on the respondents' responses, the researcher was able to establish the higher levels of income increased the level of impulse buying in the Chinese retail industry. 5.2.3 The usage of credit card offers increases the level of impulse buying in the Chinese retail industry. The research findings established that the usage of credit cards increases the level of impulsive buying behaviour in the Chinese retail industry. Various studies had been conducted before on the usage of credit cards but did not explicitly indicate the level at which they influenced the level of impulsive buying. For instance, Foscht et al. (2010)’s study established that people have the tendency of spending beyond their means when using the credit cards but the study did not conclusively indicate the level at which the usage of the credit card influenced the level of impulse buying. To test the hypothesis related to credit card usage, the researcher asked the respondents whether they were tempted to make an extra purchase when using the credit cards. The participants’ responses attracted a mean score of 3.6694 which implied that the respondents either agreed or strongly agreed that they are tempted make an extra purchase whenever using a credit card. Further, the respondents indicated that they prefer using the credit cards as opposed to cash when making a purchase. As noted earlier, the credit cards allow customers to buy on credit and make the payments later as long as the limits are not exceeded. The high preference for the usage of credit cards in the Chinese retail industry implies that the level of impulse buying is high. Further, the respondents accepted that whenever they are using credit cards, the rarely consider product prices as long as they do not exceed the set limits. The provided responses evidently show that the usage of credit cards increases the level of impulsive buying behaviour in the Chinese retail industry. The study findings confirmed that window displays, income level and the usage of credit card offer significantly increases the level of impulse buying in the Chinese retail industry. For instance, the researcher established that well-designed window displays can significantly influence the consumer's decisions to buy. Further, the study established that well window displayed products have the capability of influencing the consumer to develop a decision to buy instantly. With this regard, retailers in the retail industry should invest heavily on window displays to increase the sales revenue. As noted from the consumers’ responses, the art of window displays have a significant influence on developing the decision to buy. The researcher also discovered that the level of income significantly increases the level of impulsive behaviour in the Chinese retail industry. The higher levels of income are closely linked to higher social classes. Retailers also can significantly increase their sales revenue if they subdivide their retail stores based on the social class. Those individuals with higher levels of income will have the tendency of distinguishing themselves with the type of products that they buy. As noted from the research findings, those individuals with higher levels of income do not usually consider product prices when making purchases. Based on their social status, customers with higher levels of income will buy anything that makes them look unique from the other social classes. Therefore, retailers can maximise their sales revenue if they target high earning individuals who are prone to engaging in the impulsive buying behaviour. Similarly, the research findings revealed that the usage of credit cards increases the level of impulse buying in the Chinese retail industry. Firms can as well maximise their sales revenue if they encourage the usage of credit cards. For instance, the retailers can partner with credit card providers and ensure that they encourage customers to use them. In this way, the retailers can significantly increase the level of their sales because the credit cards encourage impulsive buying behaviour. Researchers intending to carry out studies related to impulse buying in the Chinese retail industry will find the following recommendations useful. Firstly, it will be interesting to investigate variables such as customer loyalty to find out whether it contributes to impulsive buying behaviour. Similarly, future researchers may develop an interest to find out the level at which product affordability and quality attributes influence the level of impulsive buying behaviour. Further, the future researchers may consider using a larger sample to increase the reliability of their research findings. This study only utilised a study sample of 490 respondents but future researchers may opt to increase the sample sizes to compare their results with this research. During the execution of this research, the researcher faced few challenges. Firstly, the researcher selected respondents from Beijing City alone. There are many cities in China with massive retail outlets. However, the researcher chose Beijing because it has the most modern and highly frequented stores. Therefore, the research findings may not provide 100% accuracy but to a larger extent, the research findings were valid and reliable. Secondly, the researcher only used a sample of 490 reliable respondents that may not adequately represent the number of retail customers in China. However, regardless of the few challenges mentioned, the researcher was able to achieve all the three objectives of this study. It was possible for the researcher to achieve his goals because he balanced his respondent's profile based on gender, age, occupation, income level, marital status and education level. Similarly, the respondents were requested to provide their responses voluntarily which reduced any form of biases. Abideen, Z. U. &Saleem, S. (2011) ‘Effective advertising and its influence on consumer buying behavior,’ European Journal of Business and Management, 3(3), pp. 55-65. Ahmad, T., &Vays, N. (2011) ‘The impulse buying behavior of consumes for the FMCG products in Jodhpur,’ Australian Journal of Basic and Applied Sciences, 5(11), pp. 1704-1710. Ahmed, Z. U., Ismail, I., SadiqSohail, M., Tabsh, I. & Alias, H. (2010) ‘Malaysian consumers' credit card usage behavior,’ Asia Pacific Journal of Marketing and Logistics, 22(4), pp. 528-544. Amos, C., Holmes, G. R. &Keneson, W. C. (2014) ‘A meta-analysis of consumer impulse buying,’ Journal of Retailing and Consumer Services, 21(2), pp. 86-97. Banerjee, S. &Saha, S. (2012) ‘Impulse buying behavior in retail stores triggering the senses,’ Asia Pacific Journal of Marketing & Management Review, 2(2012), pp. 2319-2836. Bashar, A. & Ahmed, I. (2012) ‘Visual merchandising and consumer impulse buying behavior: An Empirical study of Delhi & NCR,’ International Journal of Retail Management & Research, 2(1), pp. 2277-4750. Benavides-Velasco, C. A., Quintana-García, C., &Guzmán-Parra, V. F. (2013) ‘Trends in family business research,’ Small Business Economics, 40(1), pp. 41-57. Bowling, A. (2014) Research methods in health: investigating health and health services. McGraw-Hill Education (UK). Bozeman, B., & Melkers, J. (Eds.). (2013) Evaluating R&D impacts: Methods and practice. Springer Science & Business Media. Bryman, A., & Bell, E. (2015) Business research methods. Oxford university press. Chang, H. J., Eckman, M. & Yan, R. N. (2011) ‘Application of the Stimulus-Organism-Response model to the retail environment: the role of hedonic motivation in impulse buying behavior,’ The International Review of Retail, Distribution and Consumer Research, 21(3), pp. 233-249. Chang, H. J., Eckman, M., & Yan, R. N. (2011) ‘Application of the Stimulus-Organism-Response model to the retail environment: the role of hedonic motivation in impulse buying behavior,’ The International Review of Retail, Distribution and Consumer Research, 21(3), pp. 233-249. Coleman, R., & Ringrose, J. (2013) Deleuze and research methodologies. Edinburgh University Press. Creswell, J. W. (2013) Research design: Qualitative, quantitative, and mixed methods approaches. Sage publications. Dawson, S. & Kim, M. (2010) ‘Cues on apparel web sites that trigger impulse purchases,’ Journal of Fashion Marketing and Management: An International Journal, 14(2), pp. 230-246. Dr Ahmed, T. (2011) ‘The Impulse Buying Behavior of Consumes For The FMCG Products In Jodhpur,’ Australian Journal of Basic and Applied Sciences, 5(11), pp. 1991-8178. Floh, A. &Madlberger, M. (2013) ‘The role of atmospheric cues in online impulse-buying behavior,’ Electronic Commerce Research and Applications, 12(6), pp. 425-439. Foscht, T., Maloles III, C., Swoboda, B. & Chia, S. L. (2010) ‘Debit and credit card usage and satisfaction: Who uses which and why-evidence from Austria,’ International Journal of Bank Marketing, 28(2), pp. 150-165. Gajanayake, R., Gajanayake, S. &Surangi, H.A.K.N.S. (2011) ‘The impact of selected visual merchandising techniques on patronage intentions in supermarkets,’ 2nd International Conference on Business and Economic Research, (2nd ICBER 2011) Proceedings. Gray, D. E. (2013) Doing research in the real world. Sage. Hadjali, H. R., Salimi, M., &Ardestani, M. (2012) ‘Exploring main factors affecting on impulse buying behaviors,’ Journal of American Science, 8(1), pp. 245-251. Hair Jr, J. F., Wolfinbarger, M., Money, A. H., Samouel, P., & Page, M. J. (2015) Essentials of business research methods. Routledge. Hostler, R. E., Yoon, V. Y., Guo, Z., Guimaraes, T., &Forgionne, G. (2011) ‘Assessing the impact of recommender agents on on-line consumer unplanned purchase behavior,’ Information & Management, 48(8), pp. 336-343. Jain, V., Sharma, A. &Narwal, P. (2012) ‘Impact of visual merchandising on consumer behavior towards women’s apparel,’ International Journal of Research in Management, 2(l.5), pp. 2249-5908. Joireman, J., Kees, J. &Sprott, D. (2010) ‘Concern with immediate consequences magnifies the impact of compulsive buying tendencies on college students' credit card debt,’ Journal of Consumer Affairs, 44(1), pp. 155-178. Kalla, S. M. & Arora, A. P. (2011) ‘Impulse Buying A Literature Review,’ Global Business Review, 12(1), pp. 145-157. Kalla, S. M., & Arora, A. P. (2011) ‘Impulse Buying A Literature Review,’ Global Business Review, 12(1), pp. 145-157. Karbasivar, A. &Yarahmadi, H. (2011) ‘Evaluating effective factors on consumer impulse buying behavior,’ Asian Journal of Business Management Studies, 2(4), pp. 174-181. Karbasivar, A., &Yarahmadi, H. (2011) ‘Evaluating effective factors on consumer impulse buying behavior,’ Asian Journal of Business Management Studies, 2(4), pp. 174-181. Khandai, S., Agrawal, B. &Gulla, A. (2012) ‘Visual merchandising as an antecedent to impulse buying: An Indian perspective,’ International Journal of Business and Management Studies, 1(1), pp. 67-277. Kinley, T. R., Josiam, B. M. & Lockett, F. (2010) ‘Shopping behavior and the involvement construct,’ Journal of Fashion Marketing and Management: An International Journal, 14(4), pp. 562-575. Lai, C. W. (2010) ‘How financial attitudes and practices influence the impulsive buying behavior of college and university students,’ Social Behavior and Personality: an international journal, 38(3), pp. 373-380. Liang, Y. P. (2012) ‘The relationship between consumer product involvement, product knowledge and impulsive buying behavior,’ Procedia-Social and Behavioral Sciences, 57, pp. 325-330. Ling, K. C., Chai, L. T., &Piew, T. H. (2010) ‘The effects of shopping orientations, online trust and prior online purchase experience toward customers’ online purchase intention,’ International Business Research, 3(3), pp. 63-68. Liu, Y., &Sutanto, J. (2012) ‘Buyers’ purchasing time and herd behavior on deal-of-the-day group-buying websites,’ Electronic Markets, 22(2), pp. 83-93. Maymand, M. M., & Ahmadinejad, M. (2011) ‘Impulse buying: the role of store environmental stimulation and situational factors (An empirical investigation),’ African Journal of Business Management, 5(34), pp. 13057-13065. Maymand, M.M. &Ahmedinejad, M. (2011) ‘Impulse buying: the role of store environmental stimulation and situational factors (An empirical investigation),’ African Journal of Business Management, 5(34), pp. 13057-13065. Mehta, N. & Chugan, P. K. (2012) ‘Visual Merchandising: Impact on Consumer Behaviour (An Exploratory Study of Apparel Segment in Ahmedabad),’ Global Business and Technology Association (GBATA), 6(4), pp. 607-614. Mehta, N. & Chugan, P. K. (2013) ‘The Impact of Visual Merchandising on Impulse Buying Behavior of Consumer: A Case from Central Mall of Ahmedabad India,’ Universal Journal of Management, 1(2), pp. 76-8. Mehta, N.P. & Chugan, P.K. (2012) ‘Visual merchandising: Impact on consumer behavior,’ Global Business and Technology Association, 4(2), pp.607-614. Mertens, D. M. (2014) Research and evaluation in education and psychology: Integrating diversity with quantitative, qualitative, and mixed methods. Sage Publications. Mihić, M., &Kursan, I. (2010) ‘Assessing the situational factors and impulsive buying behavior: Market segmentation approach,’ Management: Journal of Contemporary Management Issues, 15(2), pp. 47-66. Mohan, G., Sivakumaran, B., & Sharma, P. (2013),’ Impact of store environment on impulse buying behavior,’ European Journal of Marketing, 47(10), pp. 1711-1732. Muruganantham, G., &Bhakat, R. S. (2013) ‘A review of impulse buying behavior,’ International Journal of Marketing Studies, 5(3), pp. 149-150. Muruganantham, G., &Bhakat, R. S. (2013) ‘A review of impulse buying behavior,’ International Journal of Marketing Studies, 5(3), pp.149-155. Myers, M. D. (2013) Qualitative research in business and management. Sage. Nazir, S., Tayyab, A., Sajid, A., Rashid, H. U., &Javed, I. (2012) ‘How online shopping is affecting consumers buying behavior in Pakistan.’ International Journal of Computer Science Issues, 9(3), pp. 486-495. Niazi, G. S. K., Siddiqui, J., Alishah, B., &Hunjra, A. I. (2012) ‘Effective advertising and its influence on consumer buying behavior,’ Information management and business review, 4(3), pp. 114-119. Park, E. J. & Forney, J. C. (2011) ‘Assessing and predicting apparel impulse buying,’ Journal of Global Fashion Marketing, 2(1), pp. 28-35. Pentecost, R. & Andrews, L. (2010) ‘Fashion retailing and the bottom line: The effects of generational cohorts, gender, fashion fanship, attitudes and impulse buying on fashion expenditure,’ Journal of Retailing and Consumer Services, 17(1), pp. 43-52. Pereira, M., Azevedo, S., Bernardo, V., Moreira da silva, F., Miguel, R., & Lucas, J. (2010) The effect of visual merchandising on fashion stores in shopping centers. 5th International Textile, Clothing & Design Conference – Magic World of Textile. Dubrovnik: Croatia. Podoshen, J. S. & Andrzejewski, S. A. (2012) ‘An examination of the relationships between materialism, conspicuous consumption, impulse buying, and brand loyalty,’ Journal of Marketing Theory and Practice, 20(3), pp. 319-334. Punch, K. F. (2013) Introduction to social research: Quantitative and qualitative approaches. Sage. Robb, C. A. (2011) ‘Financial knowledge and credit card behavior of college students,’ Journal of family and economic issues, 32(4), pp. 690-698. Saunders, M. N., Saunders, M., Lewis, P., &Thornhill, A. (2011) Research methods for business students, 5/e. Pearson Education India. Saunders, M., & Lewis, P. (2012) Doing research in business and management: An essential guide to planning your project. Financial Times Prentice Hall. Sharma, P., Sivakumaran, B. & Marshall, R. (2010) ‘Impulse buying and variety seeking: A trait-correlates perspective,’ Journal of Business Research, 63(3), pp. 276-283. Sharma, P., Sivakumaran, B., & Marshall, R. (2010) ‘Impulse buying and variety seeking: A trait-correlates perspective,’ Journal of Business Research, 63(3), pp. 276-283. Thomas, M., Desai, K. K. &Seenivasan, S. (2011) ‘How credit card payments increase unhealthy food purchases: visceral regulation of vices,’ Journal of Consumer Research, 38(1), pp. 126-139. Tinne, W. S. (2011) ‘Factors affecting impulse buying behavior of consumers at superstores in Bangladesh,’ ASA University Review, 5(1), pp. 209-220. Verhagen, T., & van Dolen, W. (2011) ‘The influence of online store beliefs on consumer online impulse buying: A model and empirical application,’ Information & Management, 48(8), 320-327. Wells, J. D., Parboteeah, V. &Valacich, J. S. (2011) ‘Online impulse buying: understanding the interplay between consumer impulsiveness and website quality,’ Journal of the Association for Information Systems, 12(1), pp. 32-56. Wilson, J. (2014) Essentials of business research: A guide to doing your research project. Sage. Xiao, S. H. & Nicholson, M. (2013) ‘A multidisciplinary cognitive behavioural framework of impulse buying: a systematic review of the literature,’ International Journal of Management Reviews, 15(3), pp. 333-356. Yang, D. J., Huang, K. C., & Feng, X. (2011). A study of the factors that affect the impulsive cosmetics buying of female consumers in Kaohsiung,’ International Journal of Business and Social Science, 2(24), pp. 275-282. Yu, C., &Bastin, M. (2010) ‘Hedonic shopping value and impulse buying behavior in transitional economies: A symbiosis in the Mainland China marketplace,’ Journal of Brand Management, 18(2), pp. 105-114. Zhang, Y., Winterich, K. P., & Mittal, V. (2010) ‘Power distance belief and impulsive buying,’ Journal of Marketing Research, 47(5), pp. 945-954. Zikmund, W., Babin, B., Carr, J., & Griffin, M. (2012) Business research methods. Cengage Learning. Kindly take your time to participate in this research by filling out this online survey questionnaire to help the researcher investigate how window displays, income level and credit card offers influence the level of impulse buying in the Chinese retail industry. Your participation will be treated with a high level of confidence. Therefore, the information you provide here will only be used for the purposes of this research only. The questionnaire has two sections. The first section require you to enter your personal information while in the second section you are required to respond to the questions related to impulse buying. Your participation is highly valued. Put a tick to your most preferred answer in the respective boxes. You are attracted to buy an attractive displayed product the first time you come into contact with it. You are not influenced to purchase a displayed product if you had not budgeted for it. You have the capacity to resist making an impulse buying decision whenever you come into contact with a window displayed product. The art of window displays makes you to develop an interest to buy a displayed product. You are prone to making impulse buying decisions whenever you are attracted to a product that is appealing to you. The more money you have, the more products you buy including the unbudgeted ones. You stick to your budget regardless of the amount of income you have whenever you make purchases. You do not consider prices as long as you enough money to buy products. You do not buy expensive products regardless of the amount of money you have. You prefer using the credit card when making purchase as opposed to cash.